If it's a rich, floral fragrance you're after, try French Jasmine and Lilac . You'll love the heady blend of flowers essential oils. Peppermint and Shea Butter soothes and cools skin with mint extract , moisturizer and leaves no residue. 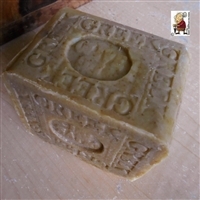 Goat's Milk Soap draw moisture to the skin and helps strengthen skin's barrier. acai berry butter and a blend of Brazilian Oils from Rain forest. Don't you love to end a cold day with a delicious hot soak in the tub? Itchiness is often the sign of excessive dryness precipitated by cold winter or Hot summer . I recommend a shower w/unscented soap - Kelp Varesh .